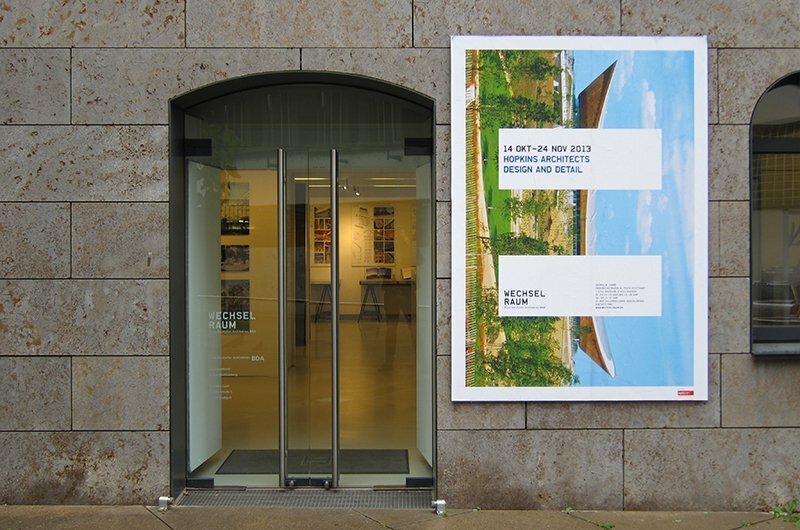 Hopkins' new exhibit "Design and Detail" has opened at the WESCHELRAUM in Stuttgart. Highlighting 53 of the Practice's projects designed since its founding in 1976, the exhibition features a special section devoted to the 2012 London Velodrome and six of the Practice's most renowned projects: Schlumberger Cambridge Research Centre, David Mellor's Office and Showroom, Norwich Cathedral Hostry and Refectory, Kroon Hall at Yale University and Frick Chemistry Laboratory at Princeton University. It also features a unique collection of photographs and drawings from the Practice's offices in London, Dubai and Munich. Senior Partner Andrew Barnett spoke about the Practice's history and contributions to global architecture at the opening reception. The exhibit runs through 24 November at the gallery. Further details may be found here.